In New Zealand nursing is a registered profession. You need to be registered with Nursing Council New Zealand to work as a nurse. To work as an enrolled nurse one must complete an 18 months program in enrolled nursing at level 5 on NQF which is accredited by the nursing council along with passing an assessment and examination. Enrolled nurses practice under a registered nurse or a nurse practitioner. The job profile includes assisting health consumers with the activities of daily living, observe changes in health consumers’ conditions and report these to the registered nurse along with administering medicines and undertaking other nursing care responsibilities appropriate to their assessed competence. 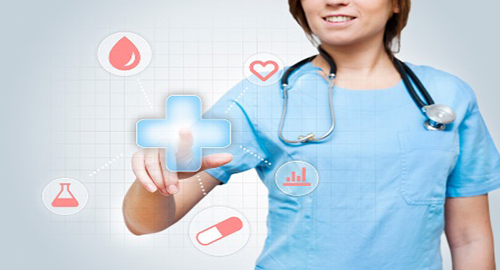 To become a registered nurse in New Zealand one must have a qualification of a Bachelors degree in nursing approved by Nursing Council of New Zealand or a graduate nursing qualification at level 7 or a post graduate qualification at level 8 along with passing an assessment and examination for registered nurses set by nursing council New Zealand. Registered nurses work independently as well as in collaboration with other health professionals along with performing general nursing functions. The job profile also includes delegating and directing enrolled nurses. To become a nurse practitioner one must complete Masters Degree program which is a structured program of clinically focussed taught courses accredited by Nursing Council, New Zealand. Registered nurses who complete the postgraduate diploma may credit it towards a nurse practitioner master’s programme. Nurse practitioners have advanced knowledge, training and have demonstrated the competence along with having legal authority to practice beyond registered nurse. In order to practice in Australia as a nurse you must be registered with Nursing and midwifery board of Australia. To become an Enrolled nurse the minimum qualifications you need to have is a Diploma in Nursing and then register with Nursing and Midwifery board of Australia. Enrolled nurses work under supervision of Registered nurses to provide support and care to patients. To work as a registered nurse you need to complete Bachelors in Nursing. After successful completion of studies you need to register with AHPRA- to work as a nurse. To be a nurse practitioner you need to have a Masters level qualification. You need to have experience in your clinical speciality. Along with this you need to be endorsed by nurses and Midwifes board of Australia to provide care for patients. In Canada nursing is a registered profession. You need to be registered as a nurse to work in Canada by Canadian Nursing Association. Each province has its regulation to grant certification to nurses. To become a Registered Practical nurse- RPN one needs to complete a 2 year program. The focus of the program is on clinical experience. To work as a Registered nurse one needs to complete a 4 year degree program. Registered nurses have more knowledge and competency as compared to RPN-Registered practical nurse. Clinical nurse specialist job profile includes providing expert nursing care as well as playing a leading role in the development of clinical guidelines and protocols. They promote the use of evidence, provide expert support and consultation, and facilitate system change. Nurse practitioners within their scope and competence provide diagnose illnesses, order and interpret diagnostic tests, prescribe pharmaceuticals, and perform specific procedures.